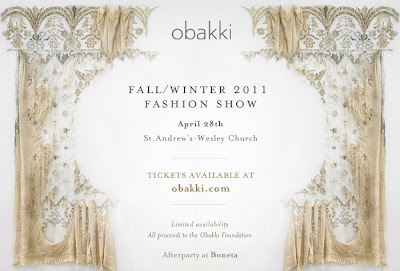 Local label Obakki is holding their F/W 2011 show later this month! 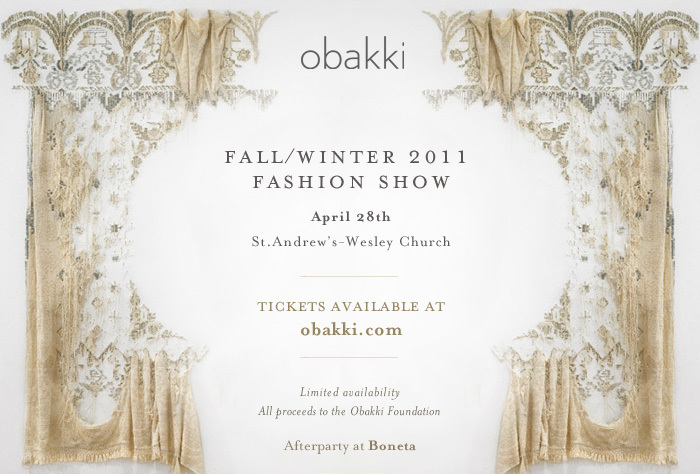 Unlike shows in seasons past, this one will be open to the public. For more details, see the flyer or below. To purchase your tickets, click here. AFTERPARTY @ 9PM: Boneta at 1 West Cordova. Gastown.